I saw these on pinterest and HAD to make them. 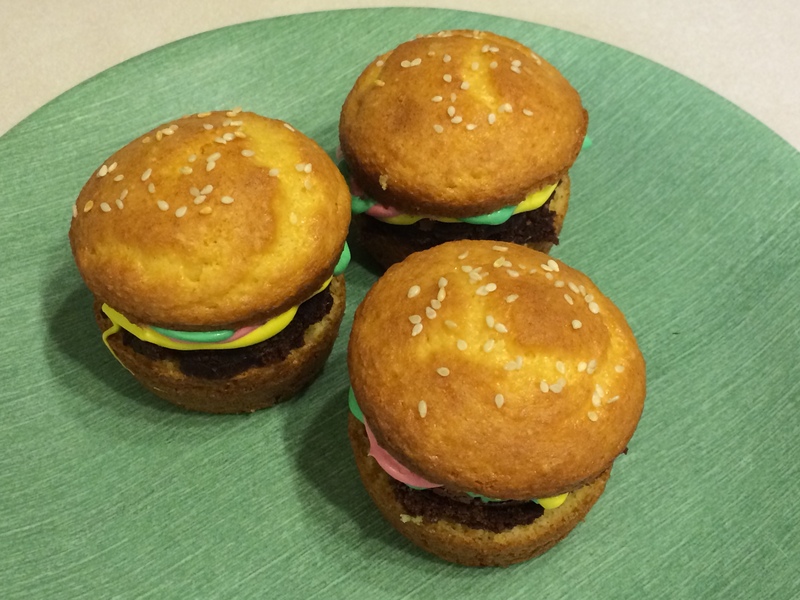 These are the fun cupcakes I referred to in this post. 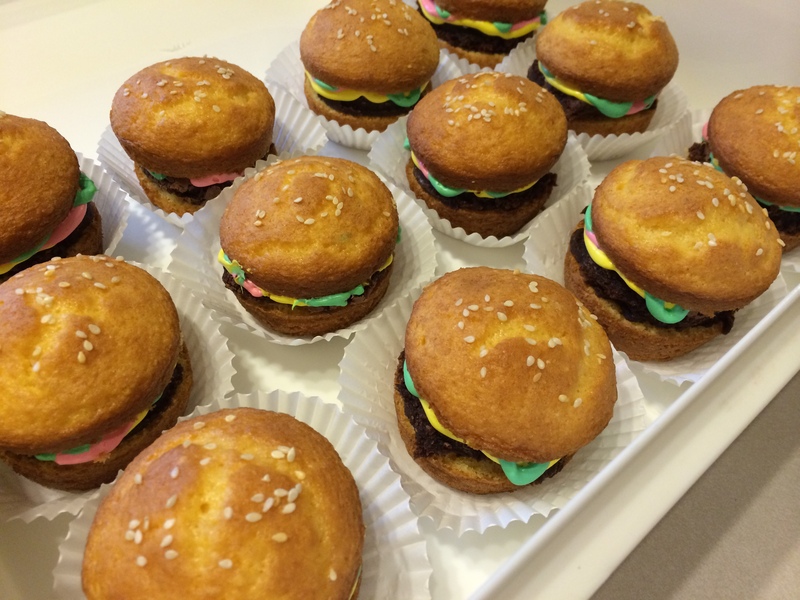 They look like little sliders :) Everyone at the BBQ loved them! 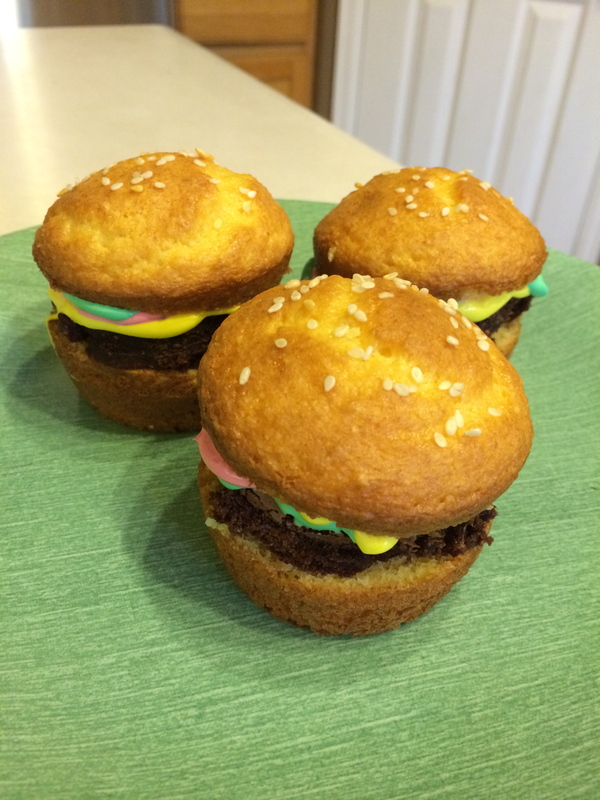 They did comment though on how it messed with their heads–eating something that looked A LOT like a real slider, then tasting a brownie and cake instead. Bake the cupcakes according to the instructions. Bake the brownies according to the instructions. Once the desserts have cooled, cut the cupcakes in half and using something round (like a cookie cutter or cup) cut the brownies to fit the cupcakes. I put the icing into bags and cut the bottom corner off and drizzled the icing around the edges of the brownie to look like the condiments. Top with the cupcake. I patted it with water using my finger and sprinkled sesame seeds to make them look like buns. I was so happy with the color of the yellow cake. It looks just like a bun. Also, the brownie was moist and fudgey and perfect. So cute, what a fun idea.